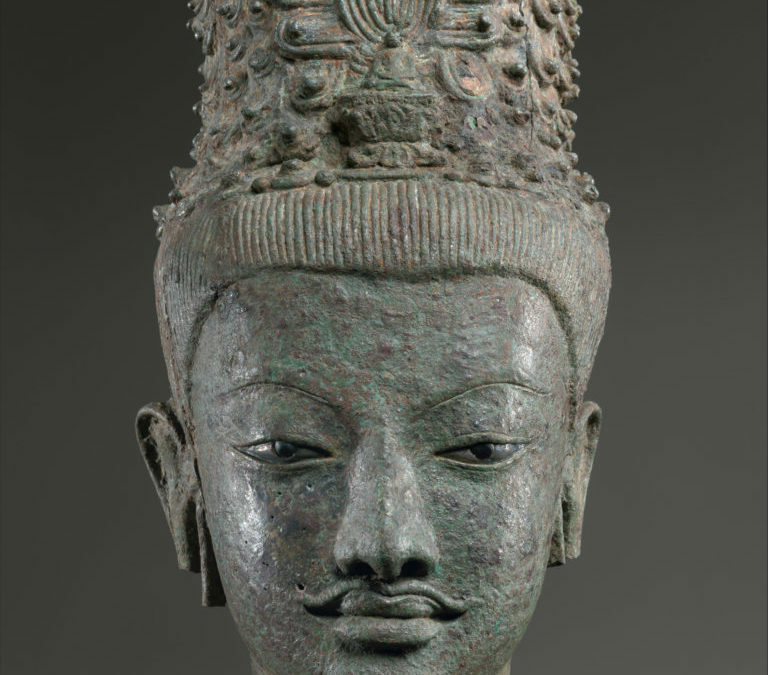 A sculpture the Met bought more than 50 years ago tops the kingdom’s most-wanted list. Thailand has stepped up its efforts to reclaim bronze and stone sculptures that have been in US museum collections for decades. The Kingdom of Thailand’s culture minister announced last week that the country is seeking the return of 23 antiquities, some of which have been housed in the Asian Art Museum in San Francisco, the Norton Simon Museum in Pasadena, and New York’s Metropolitan Museum of Art since the late 1960s. Unnamed Institutions in the UK and Australia are also in the Thai government’s sights as it intensifies its efforts to recover sculptures and other artifacts it claims were illegally removed from temples and archaeological sites. Culture Minister Vira Rojpojchanarat is leading a task force to recover more than 700 artifacts in collections abroad that Thailand claims were stolen, the Bangkok Post reports. The Met’s sculpture of the four-armed Avalokiteshvara, the Bodhisattva of Infinite Compassion, which the museum purchased in 1967, is among the artifacts that Thailand is reportedly claiming. The standing figure of the deity is currently on view in the Met’s gallery of Southeast Asian art, according the the museum’s website. It will be one of the first requests to land on the desk of the Met’s new director Max Hollein. More are sure to follow as countries beyond Thailand step up their efforts to recover cultural heritage objects. The Met’s 8th-century Bodhisattva Avalokiteshvara from Northern Thailand. Image courtesy of the Metropolitan Museum of Art. Thailand is also seeking the return of carved stone lintels from temples in Northern Thailand, which are now in the collection of the Asian Art Museum of San Francisco. They include one acquired by Avery Brundage, the Chicago industrialist and former president of the US Olympic Committee, who donated his vast collection to San Francisco in the 1950s and 60s on the condition that the city build a museum to house it. A spokeswoman for the Norton Simon Museum tells artnet News that the institution has not been contacted by the government of Thailand. She stresses that works from Thailand in the museum’s collection “were properly purchased in the 1970s and 1980s or donated” but that the institution will cooperate with the appropriate authorities. The Asian Art Museum and the Met did not immediately respond to our requests for comment. The Thai culture ministry also announced last week that two individuals—the US citizen Lisette Christiansen, who inherited ancient Thai artifacts from her late father-in-law, and a US-based Thai physician—have both volunteered to return 38 prehistoric artifacts. Joyce White, the executive director of the Institute for Southeast Asian Archaeology in Philadelphia, tells artnet News that the Thai government’s current push to recover objects they consider to have been illegally exported means that museums and collectors “can no longer assume disinterest on the part of the Thai concerning these activities.” She urges institutions to be more transparent about their past acquisitions, including by publishing collecting histories. Thailand has successfully recovered lost cultural heritage in the past. After a joint operation by US and Thai authorities, two US dealers were convicted in a case that in 2014 resulted in the Bowers Museum in Southern California returning 542 ancient vases, bowls, and other artifacts to Thailand. They were among the looted objects the museum acquired from disgraced Los Angeles-based dealer Jonathan Markell and his wife Cari.